The issue of hate speech has assumed greater significance in the era of internet since the accessibility of internet allows offensive speeches to affect a larger audience in a short span of time. We are perpetually enraged by the attires of women, artistic freedom, freedom of the press, Facebook status, to say the least. A stand-up act can lead one to the jail or to the receiving end of death threats. Ever imagined a world where journalists are scared to hold the government accountable, comedians are made to restrict their content which is meant for “fun” and the goons are on the roads to do as they please? We are not there yet, but we`re getting there. The importance of freedom of expression and speech can be lucidly understood by the fact that the preamble to the Constitution of India itself ensures to all citizens inter alia, liberty of thought, expression, belief, faith and worship. The constitutional significance of the freedom of speech consists in the preamble of the Constitution and is transformed as a fundamental right under Article 19(1)(a). 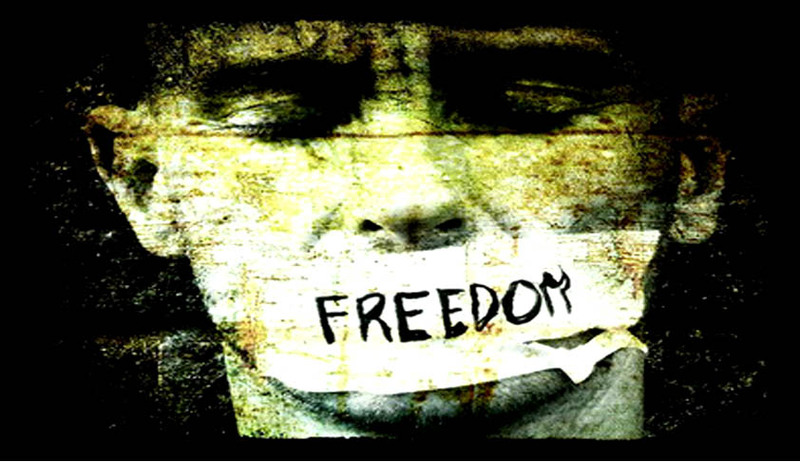 Article 19(1)(a) mandates that all Indian citizens shall have the right to freedom of speech and expression. The Supreme Court in Romesh Thappar v. State of Madras has ruminated on the scope of freedom of speech and expression stating the words "freedom of speech and expression" must be broadly constructed to include the freedom to circulate one's views by words of mouth or in writing or through audiovisual instrumentalities. Freedom of speech and expression means the right to express one's own convictions and opinions freely by words of mouth, writing, printing, pictures or any other mode. It thus includes the expression of one's idea through any communicable medium or visible representation, such as gesture, signs, and the like. It means to freely propagate, communicate or circulate one`s opinion or views. In the same judgment, the court had held that the public interest in freedom stems from the requirement that the members of the democratic society should be sufficiently informed that they may influence intelligently the decisions that may affect themselves. The judiciary has been prudently enlarging the purview of the right to freedom of speech and expression but the vaguely wide ‘reasonable’ and the convenient interpretations of the same, as have been adopted from time to time, seldom let people exercise the same to the fullest. Article 19(2) includes certain ‘reasonable’ grounds to impose ‘reasonable’ restrictions in the interest of sovereignty and integrity of India, security of the state, friendly relations with foreign states, public order, decency and morality and contempt of court, defamation and incitement to an offence. The aforesaid restrictions are clearly open-ended and thus, we see how the people in power have construed the same to satiate their vested interests by prescribing these restrictions that to justify their faux pas arbitrarily. When we consider principles like freedom of speech, we have to ask why it is that we hold them. Without an unalienable right to say what we think, we lose the exchange of ideas which makes this freedom so valuable. Every time one takes to the streets to reinstate an Indian citizen`s quintessential right to have an opinion, we begin to contemplate whether we actually hold those rights? While we are all aware of the widespread hullabaloo around Sanjay Leela Bhansali`s movie Padmaavat, could we have ever dreamt of questioning the plot relying upon our often misjudged feminism ideology back in the 13th century? We were able to enact various laws and policies promoting the equality and dignity of women because some women chose to have an opinion against the unfair treatment that was meted out to them. The Sexual Harassment of Women at Workplace (Prevention, Prohibition and Redressal) Act, 2013 could be achieved because some women chose to feel offended with the vaguest expression of male privilege and entitlement. We see news from all around the world (including India), that celebrate gay marriages and the third gender but we really couldn`t have visualized these milestones being fought for, had we been striving to maintain the status quo. Simply put, the right to speech complements the right to have an opinion, to offend and be offended by channelizing a “free market" of ideas which in turn exposes us to better ideas. It is utmost crucial to maneuver a highly competitive exchange of ideas in the marketplace of ideas so that the ideas of "a minority" are not discarded for being unworthy of access. One doesn`t have to respect an idea to respect the right of others to espouse it. We can certainly agree to disagree on that front. Benjamin Franklin stated that the desirability of stamping out evil thoughts is obvious, but the question remains whether any human being is good and wise enough to exercise it. While devising a mechanism to curtail freedom of expression, we ought to consider whether entrusting to a ‘fallible human being’ the power over the minds of others is plausible. The philosopher Jeremy Waldron rightly argues that, while purely offensive speech may not justify restrictions, there is a class of injury, amounting to more than hurt sentiments but to less than harm, in the sense of physical injury, that demands restriction in democratic frameworks. Thus, we see that the Supreme Court in Shreya Singhal v Union of India differentiated between discussion and advocacy from incitement and held that the first two were the essence of Article 19(1). Expression could only be restricted when discussion and advocacy amounted to incitement. It is utmost shameful when speech which is critical of the manner of functioning of the government is labeled as seditious. It is now an article of unquestioned faith that free speech is the sine qua non of democracy. Democracy thrives on disagreements provided they do not cross the boundaries of civil discourse. The SC in Pravasi Bhalai Sangathan v Union of India & Ors emphasized upon the need for a deeper deliberation on the issue of hate speech by the Law Commission of India. The Law Commission Report on Hate Speech (March 2017) suggested several bases to discern hate speech, such as, the extremity of the speech, incitement, status of the author of the speech, status of the victims of speech, potentiality of the speech and context of the speech. Freedom is important, so is responsibility! Akanksha Prakash is a final year student of Government Law College, Mumbai and she works as a student correspondent with Live Law. She can be contacted at akanksha.glc58@gmail.com.